Yellow. Generally yellow is not a colour I favour. 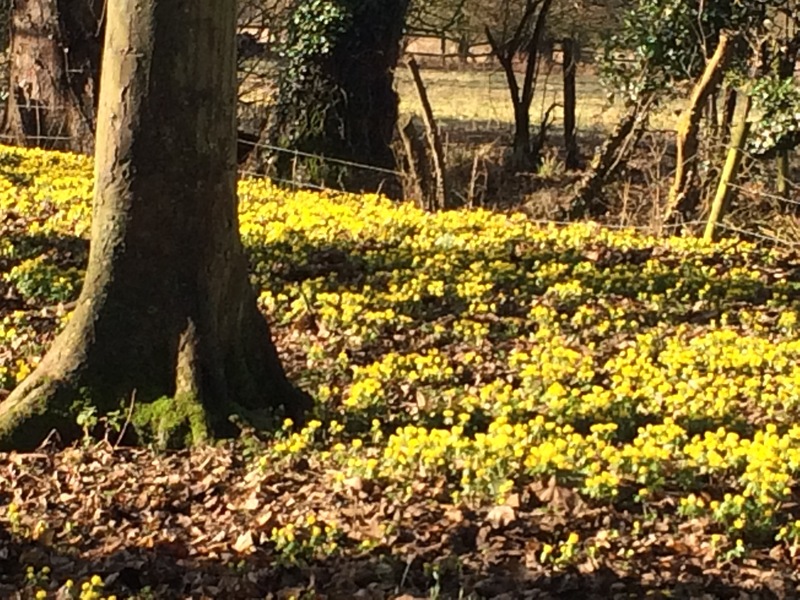 Today however I saw a yellow carpet which I was rather taken with. How lovely. On closer inspection those little buttercup type flowers were really soaked after the heavy rain yesterday. And then the sun appeared. Are they celandines? 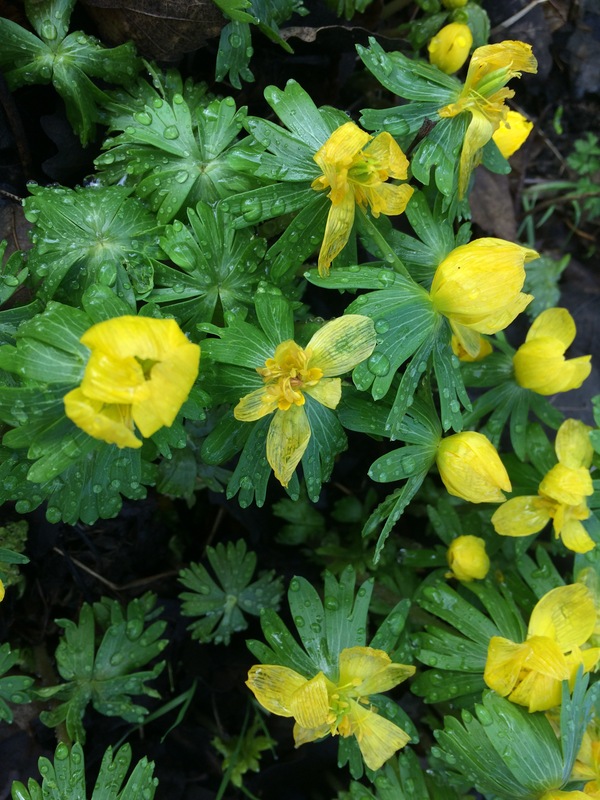 I don’t like yellow flowers in the garden as so many wild flowers are yellow – they do shout Spring! don’t they. They do shout Spring Sandra but they are different to the celandine. Yellow is such a dominant colour which makes it quite hard to use … I think it’s often most effective when used boldly like nature (or an artful gardener?) has in your woodland image. It looks like a carpet of sunshine! Almost anything in mass looks fantastic, doesn’t it. I’m not so fond of yellow either but I love daffodils!!!! It’s funny but so do I . And primroses. And crocus. Perhaps I love yellow?! Beautiful! Spring can’t be long now, can it? 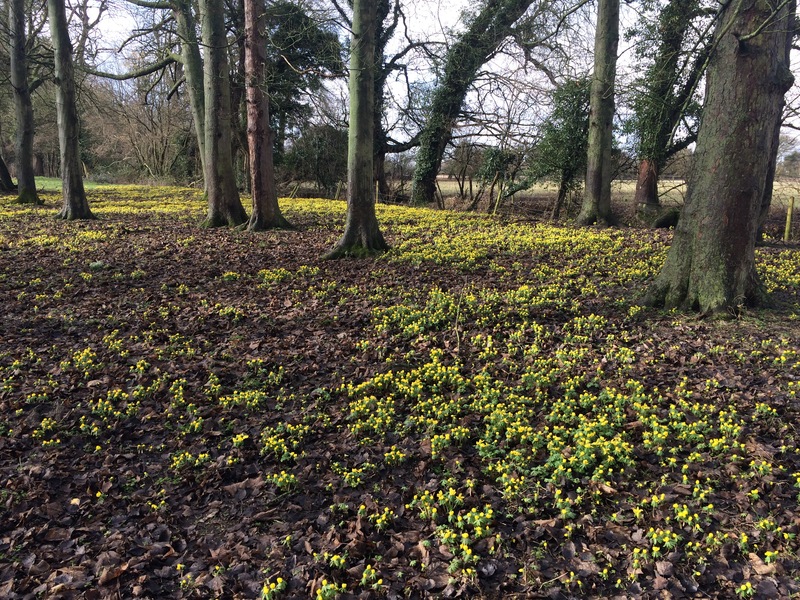 Gosh – this nass planting looks wonderful, doesn’t it, despite it being yellow! Wouldn’t want them in my garden though – because they are so yellow! I have never seen them growing in such profusion. Wonderful.